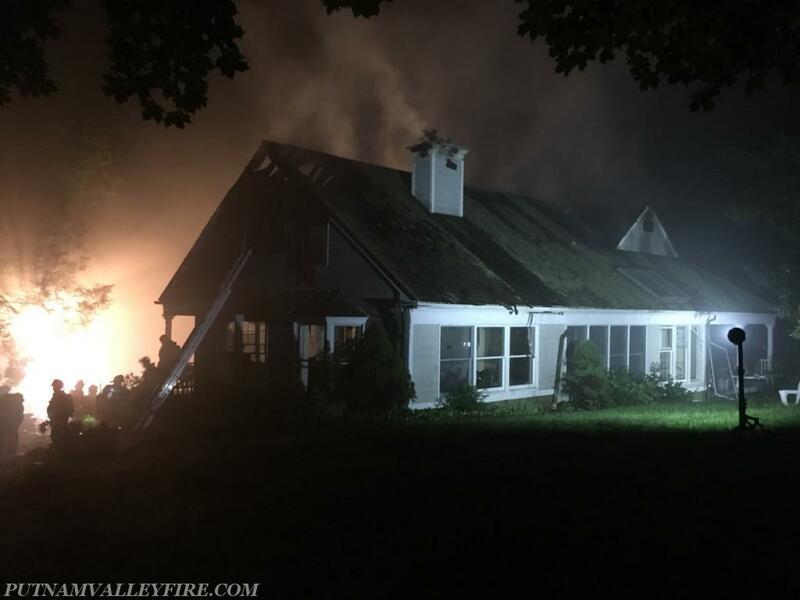 On Wed. July 4th at 9:08pm, Mohegan FD's FAS-Team was requested for the second time today for a confirmed structure fire in Putnam Valley (Putnam County). This fire was located on Park Dr and Mohegan FD Car 2263, 2265, 2267, and Engine 256/FAS-Team with a total crew of 5 FAST members. 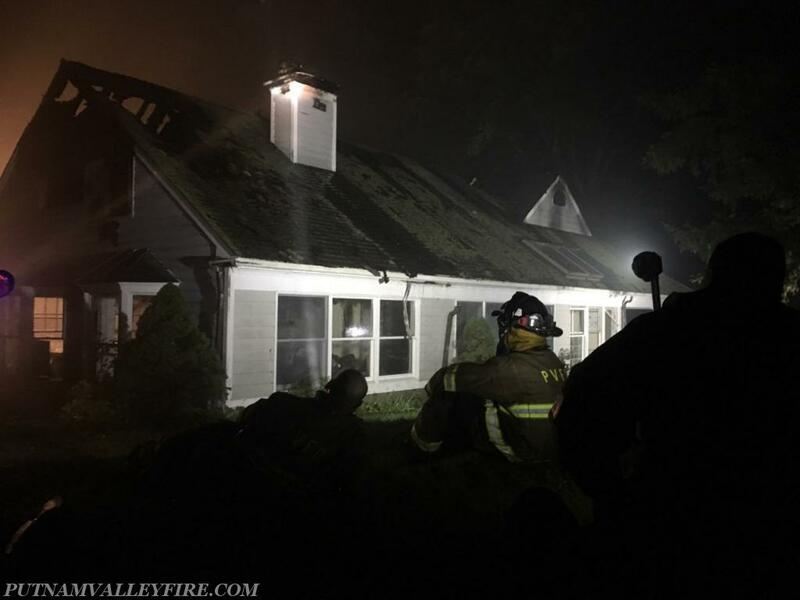 Upon arrival on scene, Putnam Valley FD was on scene with a heavily involved structure fire, with heavy fire visible through the roof, 2nd floor, and attic area. Mohegan FD stoodby and assisted on scene until approximately 2am. Mohegan FD also assisted Putnam Valley FD on scene with our hose roller, which allowed for a quicker time to pick up the 5" large diameter hose on scene. 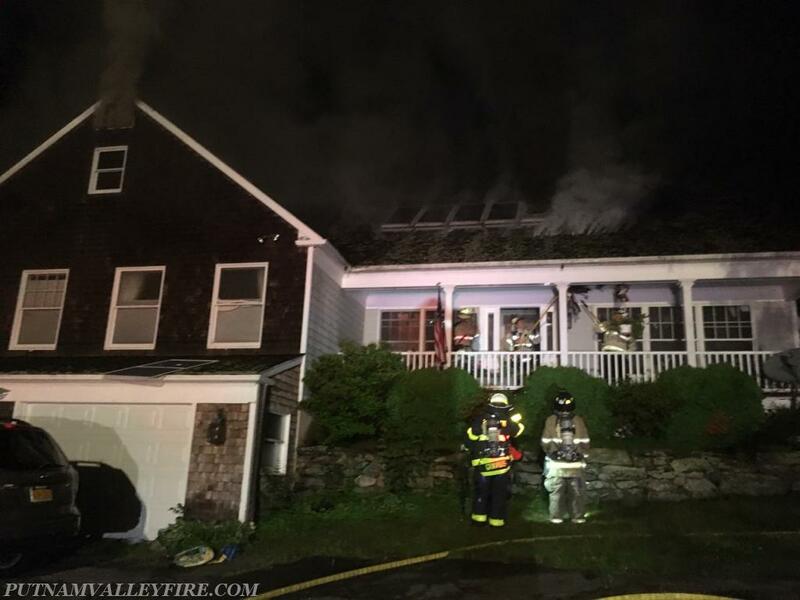 During this fire, Putnam Valley FD was also assisted on scene by Mahopac Falls FD, Continental Village FD, Yorktown FD, Putnam Valley EMS, and assets from Putnam County Bureau of Emergency Services. 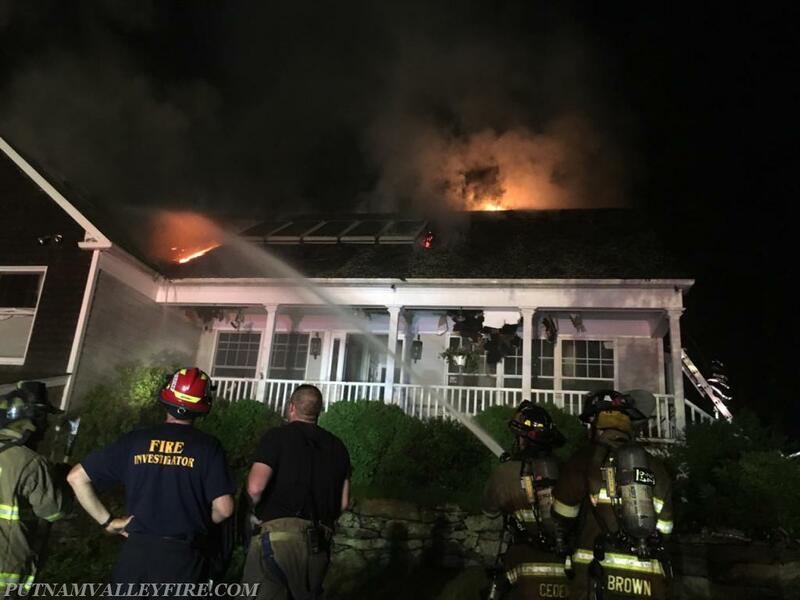 Mohegan FD also assisted Putnam Valley FD by responding to a deck fire on Penbrooke Ct in Putnam Valley at 10:25pm during the Park Dr fire. 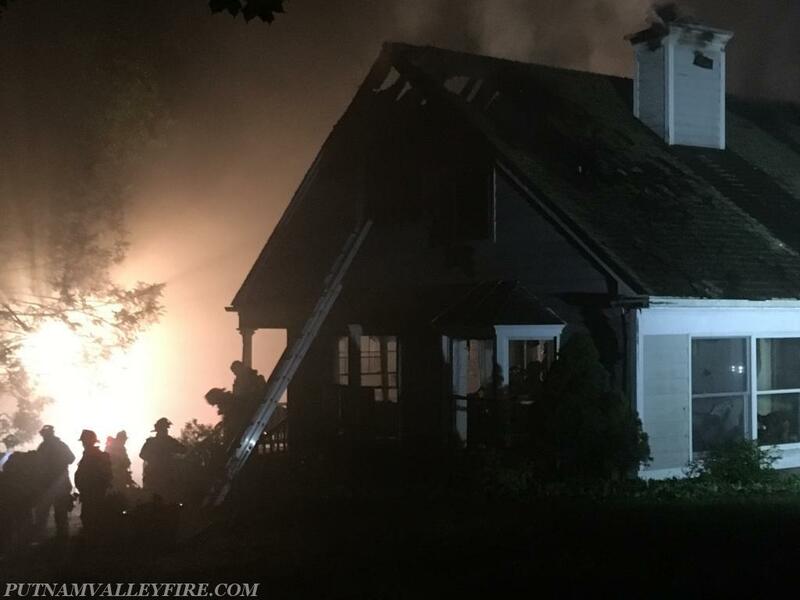 Mohegan FD Car 2261, 2262, Engine 252, and Ladder 35 handled this assignment and at approximately 10:48pm, Car 2261 and Ladder 35 returned to our district, but at the request of Putnam County, Car 2262 and Engine 252 relocated and covered Putnam Valley FD Station 1 until approximately 2am. Pictures are courtesy of PVFD.